Verian’s solutions for purchasing, invoicing, budgeting, expenses and analytics to empower the YMCA to optimize spending across 40 locations. By realizing savings that translate into new programs and offerings across local centers, Verian is helping us better serve our members. Verian is automating purchasing and A/P activities for the YMCA of Greater Houston (Houston Y) with a cloud procurement system to help the non-profit better see and understand organizational spending. This will empower the Houston Y to take advantage of strategic savings opportunities for a return that can be re-invested in their mission of offering programs to build healthy spirit, mind and body for all. The Houston Y will be implementing Verian’s solutions for purchasing, invoicing, budgeting, expenses and analytics across 40 locations that support over 60,000 members. Verian is also integrating with the Houston YMCA’s SGA financial system and Kronos payroll system. This integration will enable a seamless exchange of information between the accounting system and the purchasing system to create a full spending profile for analysis, showing exactly how funds are being used across the enterprise. 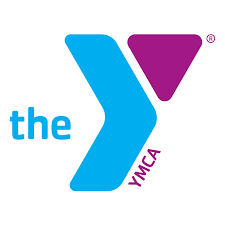 The YMCA is a cause-driven organization that is for youth development, healthy living and social responsibility. To learn more about Verian, register for the webinar, WeProcurement: Putting the We in eProcurement on March 22 at 2 p.m. EST. First organized in 1886, the YMCA of Greater Houston is one of the city’s leading nonprofits. It strengthens communities through youth development, healthy living and social responsibility. The YMCA, a United Way of Greater Houston agency, seeks to serve all – regardless of age, income, faith or background, and we welcome everyone. In the greater Houston area, 36 YMCA centers, one overnight camp and hundreds of program sites nurture the potential of children and teens, improve the city’s health and well-being, and provide opportunities to give back and support neighbors. Anchored in the Houston community, the Y has the long-standing relationships and physical presence not just to promise, but to deliver, lasting personal and social change. To learn more, call 713-659-5566 or visit ymcahouston.org. Verian helps companies buy and pay for goods and services in a simplified, paperless and cost-efficient way. Companies can see everything that’s being ordered, purchased and received, automate approval and payment processes, enforce controls and save money. Verian has been in the P2P market longer than any other independent provider – nearly 20 years. We get P2P. That’s why we have the broadest and deepest solutions available today – to exceed business needs, get the most spend under management and help organizations pursue what matters most.